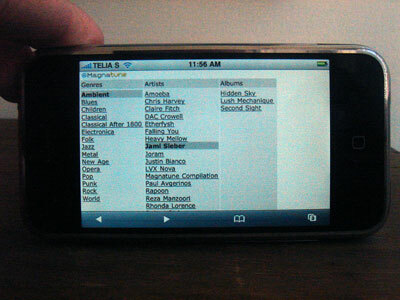 I'm working on an iPhone interface to the Magnatune catalog. and when an mp3 is playing. the "trick" that makes this work, is to have Magnatune build a single hour-long mp3 file that is the entire album. 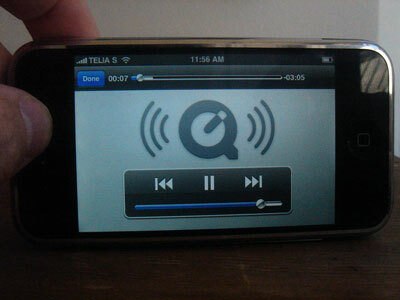 The iPhone doesn't support "playlists", only direct playing of media files, so this was my work-around. It means you can't jump to song #4 directly, though once the mp3 album is downloaded, you can jump around at various time-points.